My old PE shorts, an old pair of Netball socks and my sandals, hideous I know. First of all I'm not Jesus or your granddad so unfortunately I do not rock the socks and sandals look but I secretly wish it was expectable to wear this out. This set of clothing is my comfort clothes, I love lounging around in this. I recently did an interview with Oliver Proudlock and one of the questions I asked him "What guilty clothing do you secretly wish would come into fashion?" and he replied with a pair of tight leather dungarees that he usually just wears around the house or studio, "Pouch up if I'm in a good mood, otherwise it's down"; I imagined a pretty odd picture of him wondering around his studio in tight leather dungarees. This got me thinking to what I wish I could wear outside. 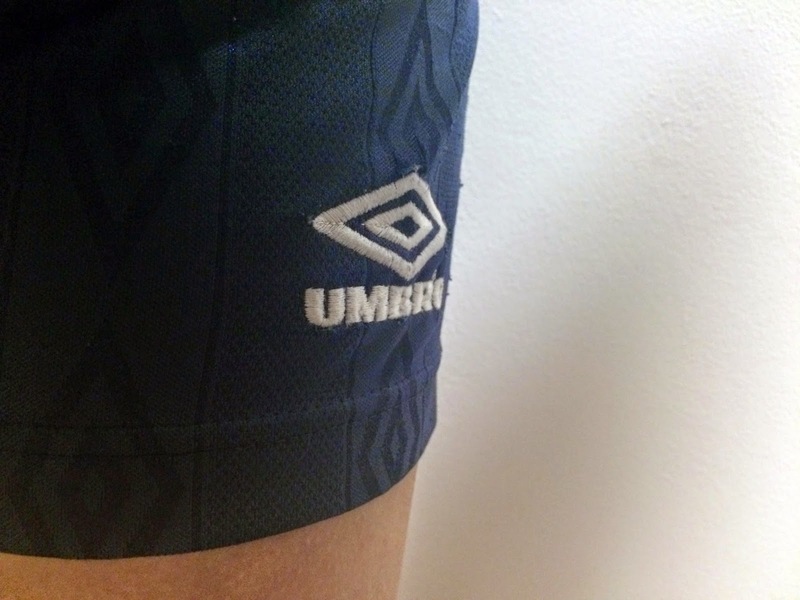 No.1: Umbro PE shorts, I'm not a bit fan of Umbro and I realise that most of you aren't either because they are dubbed more uncool than puma. 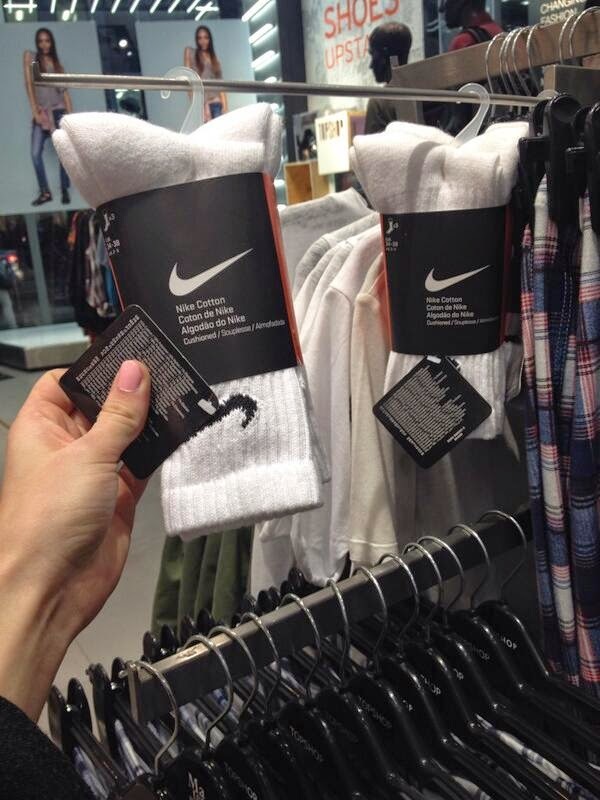 However when you're in year 7 picking out PE shorts I don't think it matters what brand. I wish I could tell my 12 year old self to buy a pair of nike shorts. Only recently have I been addicted to wearing these around halls; it started when my friend said he wore them, so putting them on I remembered how comfy they are. 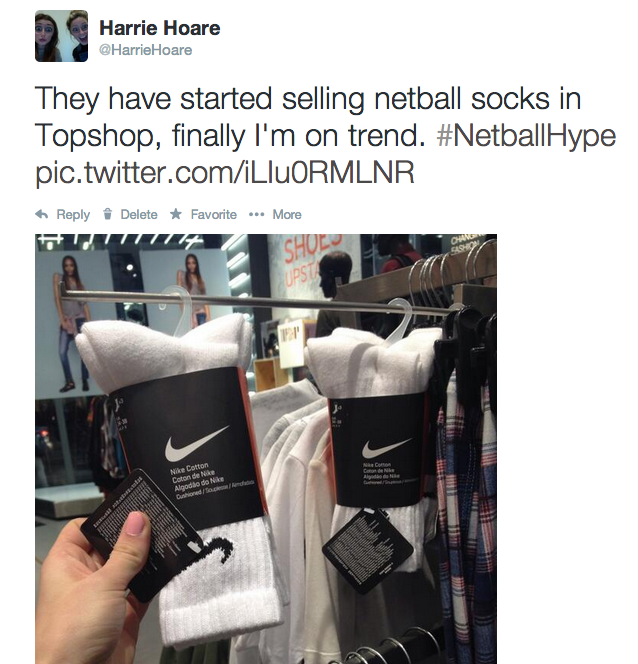 No.2: Nike Socks aka Netball Socks, I was ecstatic to realise that I was finally on trend for something when I walked into TopShop and they had started selling my netball socks. Me and my sister have both been playing netball for over 12 years and between us we must have over 20 pairs of the same white socks, all nike. Strangely Emma, my sister, will always wear two pairs when playing and I am not sure why? I'm not sure she knows why either. 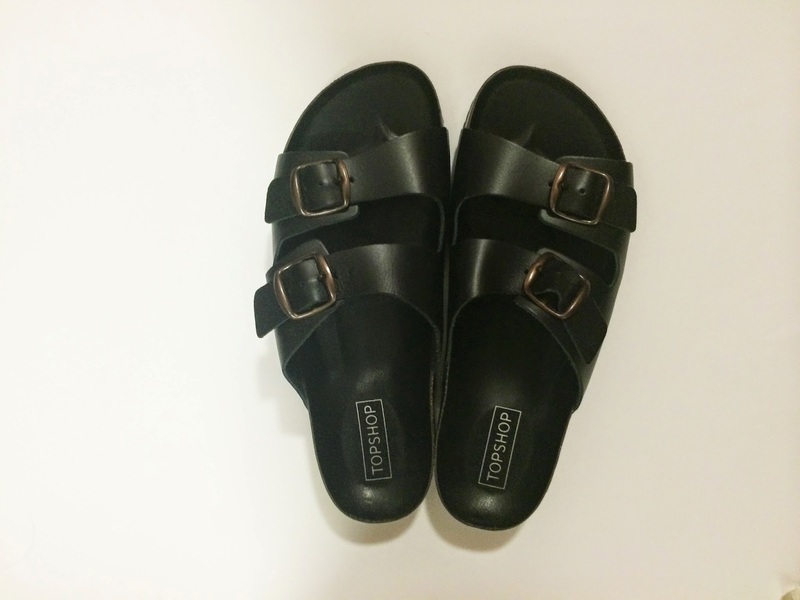 No.3: Sandals, I have to admit Birkenstocks are more comfortable than the Topshop knock offs however when on a student budget I can't afford to spend £50 on sandals. Sandals are practical and I love practical things, easy to slip on and off so basically just like a rigid pair of slippers. I wouldn't trust going into a student kitchen with slippers on; they would most likely stick to the floor because of last nights beer spillages and then smell of old alcohol for the rest of the year until you take them back to your parents to wash.
Lastly is something I haven't brought and I probably will never buy, although secretly wanting it. 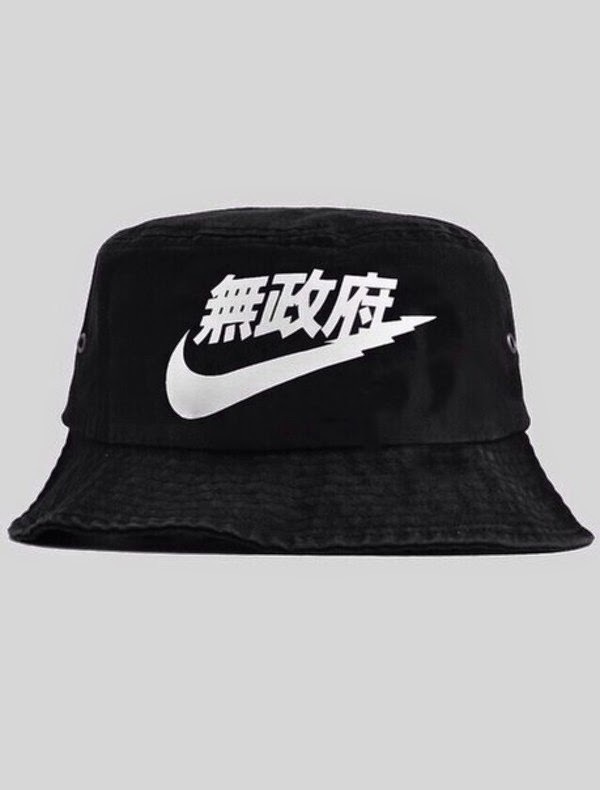 A nike bucket hat, as you probably have guessed I love nike. I want one to go sight-seeing in Munich with. My next holiday with the guys is a piss up in Germany, I don't even like beer. I found out last year when I went to Prague, sight seeing on a hangover in the hot sun is 100 times worst than any hangover you've had. So this year I want to be sensible and by a sun hat. I guess I should stick to the normal black rimmed hat that every fashion girl has out there, instead of venturing into the world of earl sweatshirt by wearing a bucket hat.